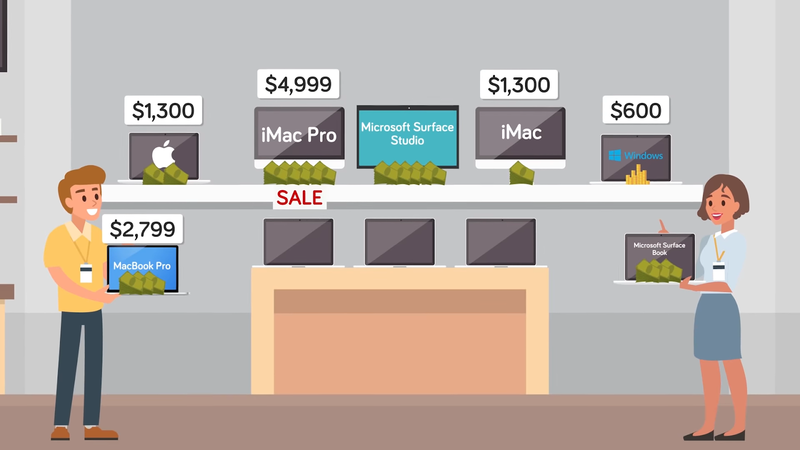 Home other articles Mac vs PC: Which should you buy? Nowadays we tend to think of PCs as computers that run operating systems such as Windows or Linux, and those computers have been separated from Macintosh computers (MAC). But in terms of hardware these days, we are not talking chalk and cheese. Windows 10, more users around the world are still on Windows 7, but Windows 10 is catching up and should be in front by 2020. 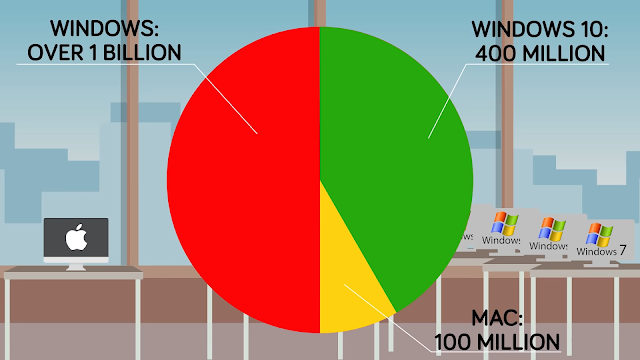 As for how many people in the world are currently using Mac compared to PC, it’s said that over one billion people in 2017 were actively using Windows, with about 400 million of those people using Windows 10. Apple, on the other hand, said that total Mac users were about 100 million. If so many people are fond of Apple’s OS, why are so few people using it? Well, the cost for one thing. 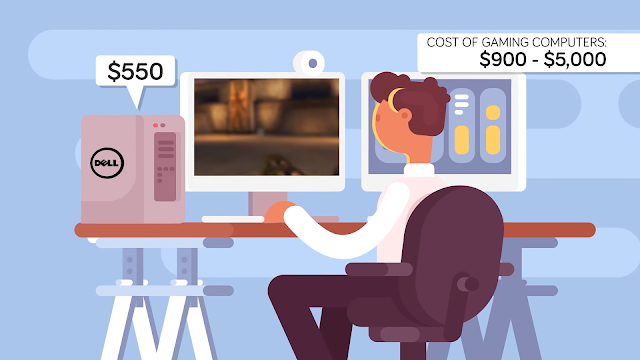 A couple of years ago, the average Mac cost around $1,300.That was compared to the $600 the average person spent on a PC. If we look at Apple’s new top of the line 15-inch MacBook Pro, the price is $2,799.00. 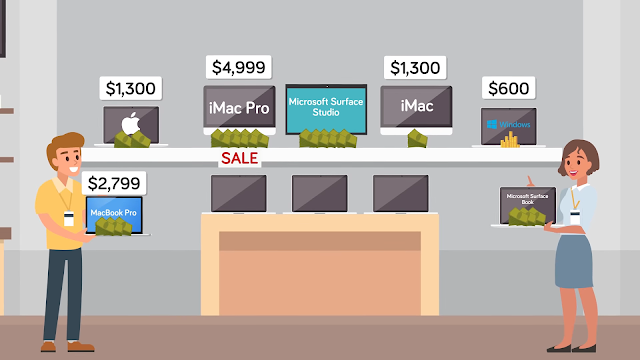 Meanwhile, Microsoft’s Surface Book costs around the same and there are plenty of other high-end laptops out there, but Apple doesn’t exactly have a bargain basement the way PC does. If we are talking about desktops, the iMac Pro is currently on sale for $4,999.Again, there are PC desktops out there that cost around the same amount of money, such as Microsoft’s Surface Studio, but there are many, many budget desktops that the average person can afford, while the smallest, cheapest iMac is still around $1,300. But maybe you’re a gamer. We looked at lists of best gaming desktop computers in 2018 and none of Apple’s machines were listed. Many of the best gaming machines were anywhere from $900 - $5,000, with some reviewers saying the best of the budget gaming PCs was the Dell XPS Tower SE at around $550. The website TechAdvisor sums it up like this for gaming regarding Mac vs PC. 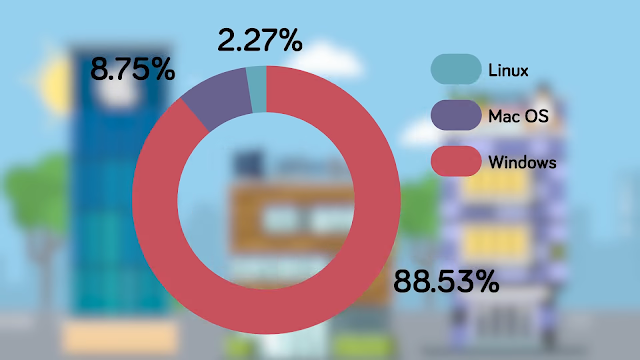 If you look at the popular gaming service Steam’s gaming statistics for March 2018, The numbers show that around 99 percent of gamers were using Windows, indicating that the vast majority of gamers seem to prefer PC. What this all tells us is what you already probably know. Apple’s machines are sleek and look beautiful, but if you are a budget-minded person, there will likely always be a cheaper PC out there that is just as good in terms of what it can do. 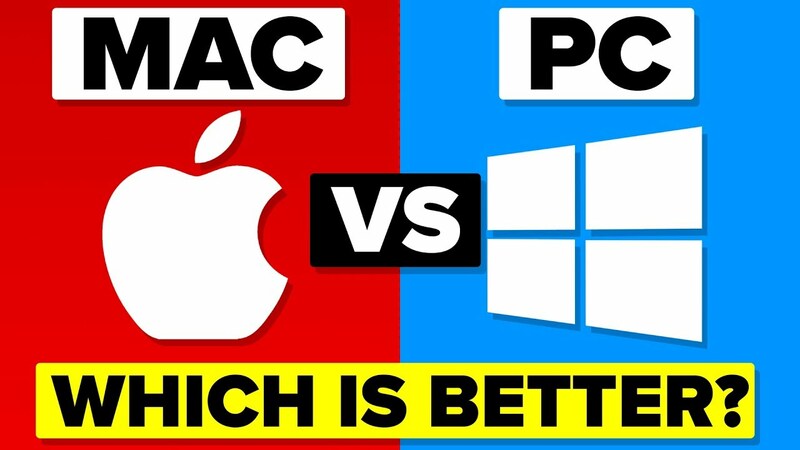 If you are a gamer, a designer, or just someone who streams TV and writes emails, you can find a Windows PC as good as any Mac that will cost you less money. What it often boils down to is what operating system you prefer or what you have just gotten used to. 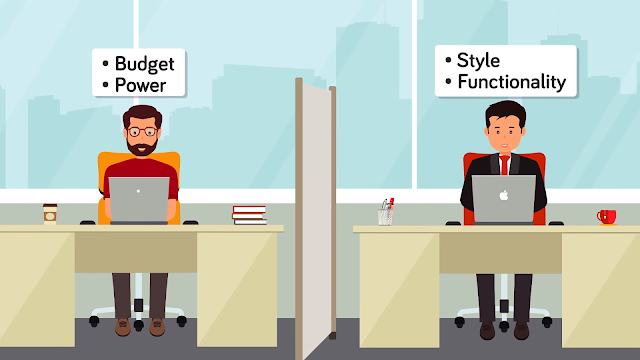 Users become fluent in things like keyboard shortcuts or they just prefer certain programs on one OS. But it’s not all about functionality, though. Apple’s design looks good. It always has, and some people say that’s why Mac's are so popular with the creative community. If you want to look good, you get a Mac, after all, not everyone who drives a Ferrari is interested in driving at 180mph or even cares. What is under the hood. They bought the car as a status symbol, just as Macs still give people a high-status badge. Some people will likely deny this, but there is ample evidence out there that all around the world Apple products are indeed a status symbol. Most critics tell us this is slowly changing, though, as manufacturers of PCs have concentrated more over the last few years on making machines that looks cool. 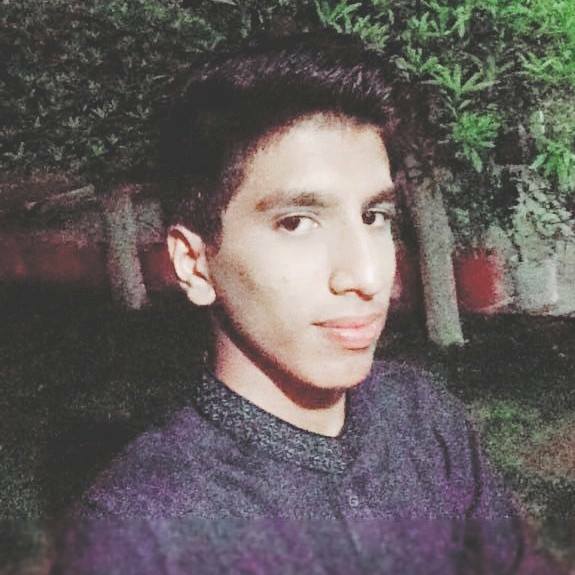 Now you may be thinking, oh no, not me, you see I’m all about security and I’m not interested in showing off. U.S. security firm Kaspersky wrote that while indeed Macs were prone to fewer online threats as PCs were in the past, that is changing. “The rising popularity of Mac operating systems in recent years have made them a prime target for cybercriminals and Macs have subsequently fallen prey to a number of viruses, malware, and other web threats,” wrote the company. It is still true, though, wrote Kaspersky, that Windows machines are presently more vulnerable to viruses than Mac. So that is one very good reason to buy a Mac, even though we shouldn't have a false sense of security in light of the growing number of Mac attacks, but for now, with the majority of the world using PCs, that’s where the majority of cyber attacks are focused. Another thing is the fact it’s so easy to build onto your PC compared to a Mac. Apple wants to keep you in its own ecosystem, and this isn’t always a good thing. It gives users fewer options and can add to costs. But Microsoft has its flaws too: When Windows 10 came out, it was severely criticized for being too pushy regarding advertising, and for employing data tracking features in the OS that wasn’t always obvious. “Windows 10 is spying on you”, became a headline for a while after the OS was released. But what are the best selling computers for all time? 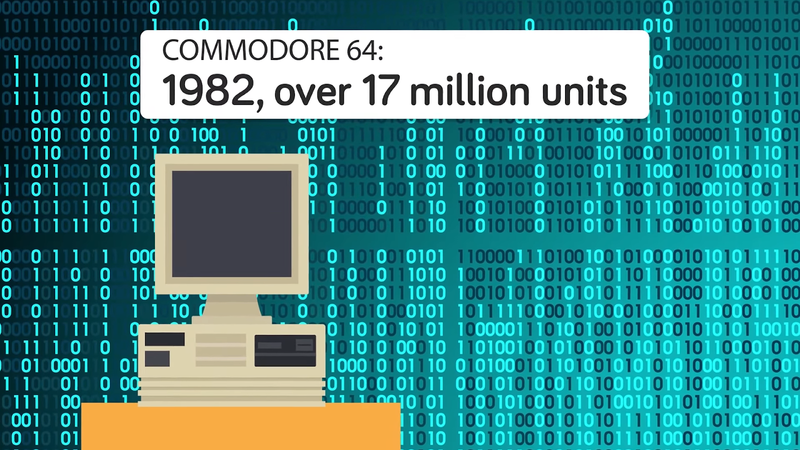 Well, number one goes to the Commodore 64, released in 1982 with over 17 million units. Next was the Commodore Amiga 500 (released in 1987, with 6 million units); MSX (released in 1983, with 5 million units) and Sinclair ZX Spectrum (released in 1982, with 5 million units). 1977’s Apple II sold one million units and 1998’s iMac sold around 800,000 units. Historically, PCs reign supreme over Mac. 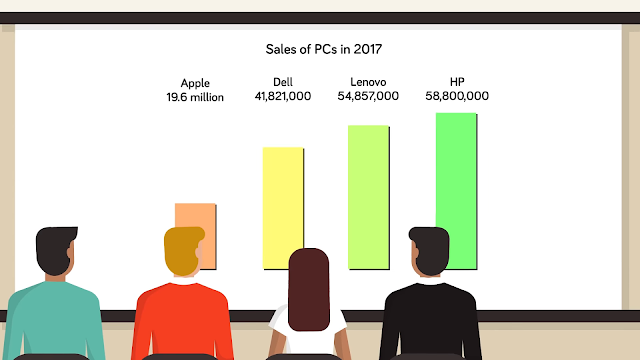 For 2017, when we look at total PC sales against Mac sales, Apple is still a ways behind other manufacturers. Apple PC sales that year were 19.6 million, while Dell sold 41,821,000 PCs. Lenovo sold 54,857,000 PCs and HP was on top selling 58,800,000 PCs. If we look at quarter one 2018, the top four are still in the same position.Apple has so far shipped 4.26 million units, Dell 9.88 million, Lenovo 12.35 million, and HP 12.86 million. Many critics out there believe that Apple must once again stun people as it’s been resting on its laurels for too long. In terms of what’s under the hood, Apple’s machines aren’t much different from what many other manufacturers release. In terms of sleekness and originality, many of Apple’s foes now have machines that are almost as pleasant to the eye as the Apple machine. If Apple wants to improve its market share, it’s high time they come up with a bold new design and offer improved hardware or more useful software. Finally, we might add that Windows has a far larger application library. 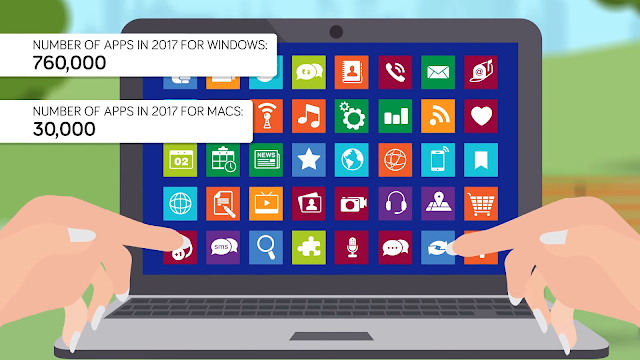 In 2017 there were around 670,000 apps in the Windows Store and four million applications outside the Store. The Mac App Store, by comparison, had around 30,000 apps, with some people a few years back asking if the company had given up on the store altogether. In conclusion, PCs have budget machines for all your needs- so if you are short a penny or two then PCs win all the way. Mac's are great machines, though, and if you like the style and the functionality, then you should buy one, but if you are looking for power and are budget-minded, you should stick with a PC. So, which do you prefer? Is Apple’s outward style better than having better hardware inside?